After many years of development effort spanning more than 5 years, we are pleased to announce the completion of the development, government submittal, and extensively tested Integrated Networked Enhanced Telemetry (iNET) Link Manager reference model. 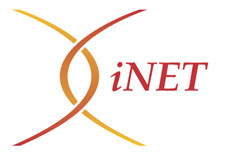 The iNET program provides the telemetry environment for the future of network telemetry to keep pace with the next generation weapons systems development. 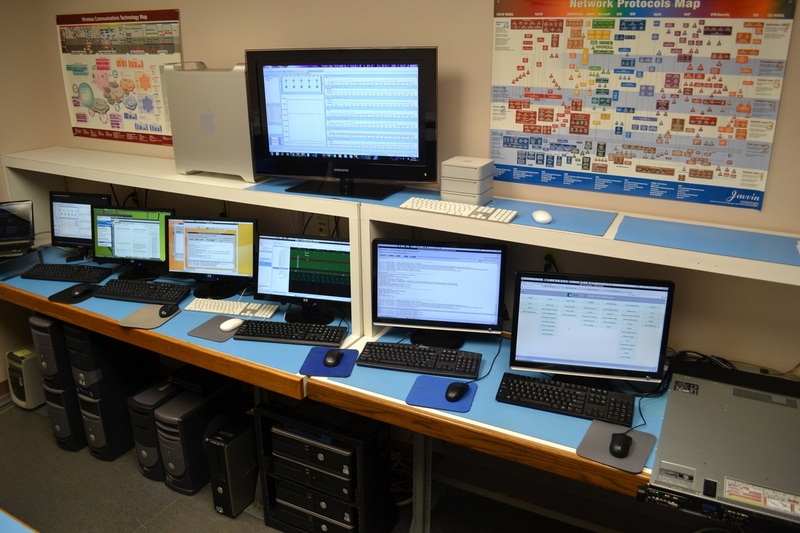 The initial operational capability provided by iNET is the crucial building block necessary for the DoD to modernize the test range telemetry infrastructure. Bi-directional communication with the instrumentation system provides the improvement for the growth in capability. Controlling the data transmission to the ground is the primary driver for influencing spectrum and test efficiency goals. The INET Link Manager performs centralized control of a TDMA based radio network by providing dynamic TDMA capacity assignments with low latency for telemetry radios on ground tracking stations and flight test articles supporting the next generation of networking communications for military test ranges. The TDMA scheduling is based upon transmit queue status provided through messaging with the ground and airborne test article radios in concert with host traffic Quality of Service (QoS) policies based on host traffic Differentiated Services Code Point (DSCP) values. Achieving the desired QoS required managing the delay, delay variation (jitter), bandwidth/assigned uplink transmit capacity on the radio access network (RAN). The iNET program is part of the Test and Training Enabling Architecture (TENA) managed by the Central Test and Evaluation Program (CTEIP) for interoperability and resource reuse solutions for aircraft test and training ranges. The iNET Link Manager is a managing software component in the TENA radio access network (RAN) including managed downstream ground and aircraft based telemetry radios, and upstream control via an RF Network Manager. For us, the iNET program involved solely designing and developing the iNET Link Manager “reference model” implementation for the US Navy at Naval Air Station Patuxent River and the Air Force at Edwards Air Force Base test ranges. It required working and collaborating with technical groups from both within government and industry, including radio manufacturers (e.g. Teletronics Corporation), research institutes (e.g. SRI International), and integration and test facilities (e.g. Southwest Research Institute). The INET Link Manager “reference model” provides both a conceptual framework and physical architecture and software implementation for a system capability that may be extended in the future by other entities. The purpose of the iNET Link Manager reference model is to guide vendors and developers so that digital communication products and software programs created will inter-operate. 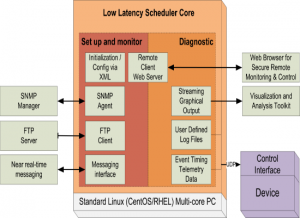 The iNET Link Manager reference model is part of the TENA Middleware layer, which is the high-performance, real-time, low-latency communication infrastructure used by range resource applications and tools during the execution of a range event. A collection of interacting software, hardware, and human components designed to satisfy stated needs with interface specifications of its components that are fully defined, available to team members, maintained according to group consensus, in which the implementations of the components conform to the interface specifications. A principle means for ensuring interoperability of an open system is through the use of standards which are agreed upon by the telemetry community. We have been active in reviewing, modifying, and composing content for standards associated with aeronautical telemetry as described in the news post IRIG 106 Aeronautical Telemetry Standards. Emphasis on agreed upon standards and standards-based systems supports interoperability, scalability and sustained product lifecycles. Developed as 10K lines of C++ code using the cross platform Qt libraries. Executes as a Linux daemon on a Red Hat Linux platforms (RHEL, CentOS, Fedora). Features a secure Qt based HTTP(S) 1.1 web server for status and control. The web content delivered is designed using the responsive web design (RWD) approach (using Bootstrap) which supports a wide range of devices from desktop computer monitors to mobile phones. Provides an SNMPv3 agent for upstream control and monitoring. Supports multi-node time synchronization via Precision Time Protocol (PTPv2) software. Provides soft dynamic configuration for operating behaviors via FTPS client loading of XML configuration from an external FTPS server. Provides built in diagnostics including generation of real time signal timing via Value Change Dump (VCD) formatted output and standard Linux log files with internal rotation. Provides lock free programming to avoid common errors associated with locking in multi-threaded programming (priority inversions, deadlocks, etc.). Takes advantage of parallel processing on multi-processor and multi-core processors platforms via CPU isolation and CPU thread pinning (i.e. CPU shielding). Is deployed using created Red Hat Package Manager (RPM) files to provide proper Linux platform distribution, installation, and configuration for various software modules. The TDMA algorithm implemented was designed, developed, and verified using OPNET modeling and simulation tools. The web interface provides basic browser authentication over TLS/SSL and role based access to content. The web interface provides a full range of functionality including viewing current configuration, importing and exporting dynamic configuration via an integral FTPS/FTP client, viewing the current log file and setting the log verbosity runtime, loading SSL PEM files, viewing runtime statistics, creating and managing both web and SNMP users. Network security is provided via support for the following communications protocols: SNMPv3, HTTPS, FTPS, TLS/SSL. Supports standard Linux file logging with log verbosity control from startup configuration file, SNMP control, or web control and implements internal log rotation. Executes upon a multiprocessor multi-core Dell server platform using a standard operating system distribution that does not require performance tuning. Supports dynamic antenna and range handover operations of radios. Provides highly reliable 24×7 operation using 100 ms epochs by pinning time critical real time threads to shielded CPU cores. Provides a built in test (BIT) suite (startup, periodic, and on-demand) that verifies the integrity of the system software. Provides TDMA capacity allocations based on radio transmit queue status and host traffic QoS policies. As part of this development effort, it was necessary to create a real time radio emulator application to verify the network traffic and timing relationships supported by the iNET Link Manager. 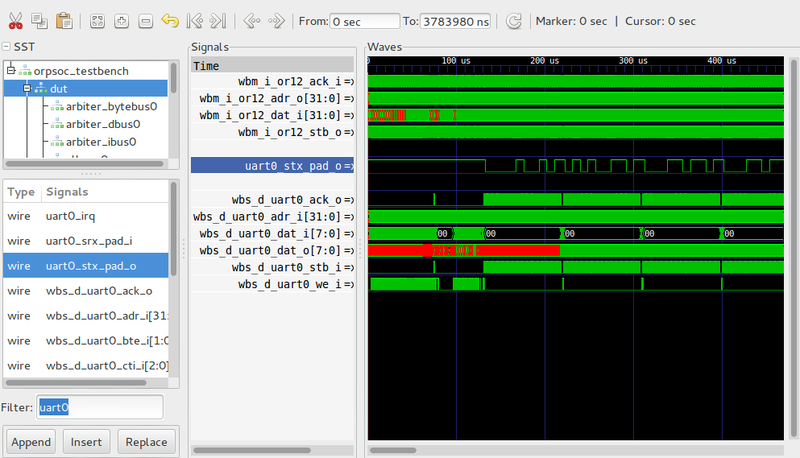 This required us to develop an iNET radio real-time emulator to emulate the network interface messaging and timing of RF transceivers. The radio emulator allows the user to connect or disconnect communications links between ground, test article airborne, and test article airborne relay simulated radios. Contents for the various generated messages come from loaded spreadsheet files which define control plane message content (such as transmit queue levels by QoS classifier) and repeat patterns to allow for soft coding different test scenarios and conditions. 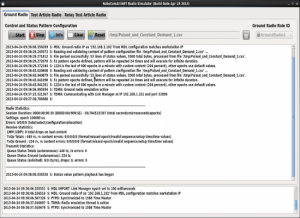 The radio emulator executes on a cluster network of Raspberry Pi ARM platforms running under UbuntuMATE or Linux desktops under CentOS/RHEL. For more information on our radio emulator developments, refer to our radio emulator products. 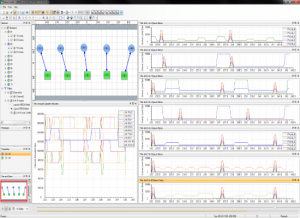 While use of the radio emulators in a network provided real-time network emulation capabilities for our design, development and testing of the iNET Link Manager, OPNET modeling and simulation tools were used extensively for the TDMA algorithm development and testing as network simulation. The use of OPNET allowed us to test out various test scenarios as scales not practical with physical hardware and software. For more information on our OPNET capabilities, refer to our OPNET Wireless Networking Suite. To provide capture and visualization of system information, the iNET Link Manager was instrumented to capture into fast memory microsecond precise timing signals. This information is used in a real-time capture and post processing visual analysis mode and is implemented through the use of our embedded visualization toolkit. The iNET Link Manager was also instrumented to support real-time streaming to our RoboComNV network visualization application. The iNET Link Manager instrumentation drives our generalized streaming viewer application with content including communications nodes and node interconnects on a 2D dimensional layout view. The iNET Link Manager further generates information that is plotted on a series of 2D line graphs with specific focus on the time distribution of assigned TDMA capacities as a function of queue status and host traffic QoS policies. The iNET Link Manager utilizes our low latency real time software framework to accelerate the development and leverage tested software modules. Refer to the RoboCom low latency software platform for additional technical details on the features and capabilities of this software framework.